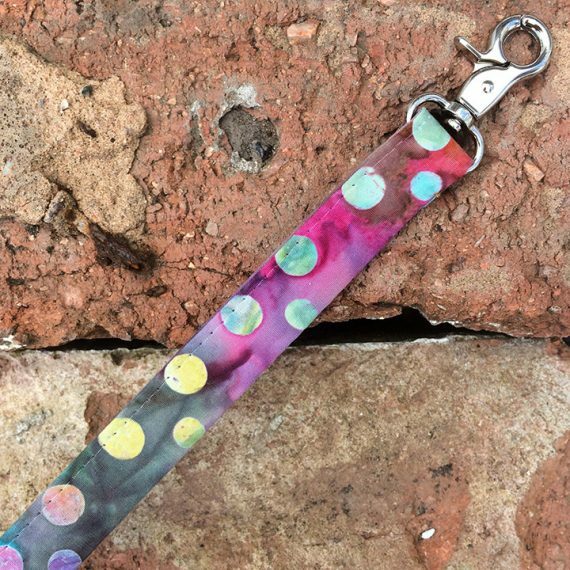 Your pooch will be the talk of the park wearing our Tie Dye Dog Lead… it’s colourful, unique and oh so hip! 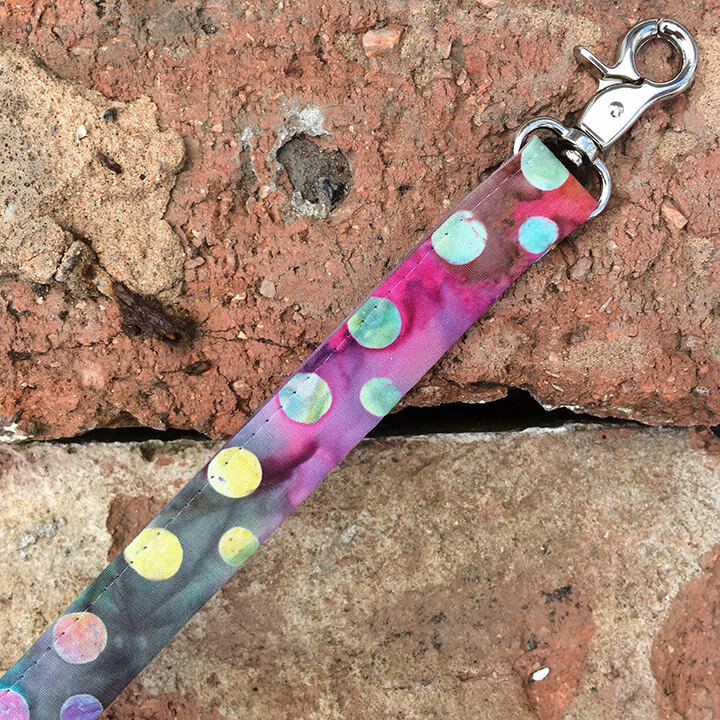 A matching Tie Dye Dog Collar is also available. Made from a fabric outer with a nylon core for strength and a reinforced chrome trigger clip for easy attachment/release. Although we endeavour to make your Tie Dye Dog Lead easy to clean, unfortunately it is not suitable for the washing machine. It should be handwashed using warm water and air dried. (Not tumble dryer safe). It is entirely the customer’s responsibility to ensure suitability of our products for your pets, we recommend that you check daily for any signs of wear. Our products are not recommended for dogs that pull excessively.